Prestashop Newsletter popup addon is GDPR compliant and allows Prestashop store owners to comply with new data protection law under GDPR. Prestashop Email Subscription popup is easy to customize and configure. The fun-filled spin the lucky wheel contest compels the visitors to enter their email ids. The interactive addon can be used as an Entry pop up, Exit pop up or Email Subscription pop up. Prestashop Newsletter popup addon helps in increasing the trust with your store. With an increase in customer engagement, the Prestashop Entry popup addon increases the sales of the store. This Spin and Winpopup module offers you various themes for different occasions like Halloween, Thanksgiving, Easter, Black Friday, Diwali, Christmas, New Year etc. The Newsletter popup module can be customized as per your website theme. Thus, it adds beauty to your Prestashop store. The coupon generated can be easily used on the checkout page, thus, making the shopping experience seamless for your customers. Prestashop Exit Intent popup turns visitors into potential buyers and increases the chances of conversion by offering an interactive email subscription pop up. The Entry popup addon offers detailed reporting using interactive graphs and tables. The responsive email subscription popup can be customized as per your PrestaShop store themes. Prestashop Newsletter popup addon does not conflict with any other PrestaShop module. Display Spin and Win popup to selected customer groups only. Admin can set the number of minimum pages which should be visited in order to see the Spin Win popup. 3 in 1 Popup: Use it as an Entry, Exit or Email Subscription pop up. Increases customer engagement and sales: The interactive exit pop up addon is specifically designed for the increasing customer engagement and ultimately sales on the store. Easy customization: Prestashop store admin gets a complete access to change the look and feel of the Newsletter popup. The customization of the display, right from the background color to the font can be done in just a few button clicks. The best thing is that the Prestashop store owners do not need any technical assistance for enabling/disabling or customizing the interactive email subscription popup. Prestashop admin can even customize the module by entering his custom CSS and JS code. Enhanced UI of the site: The Interactive and playful wheel displayed at the store will effortlessly enhance the user interface and lure more visitors to browse your Prestashop website. Not just this, simply for the visitors to enter their email ids be tedious. The engaging task of spinning the wheel may reduce the monotony of the site and compel the visitors to delve into your site and even place the order to claim their coupons. Email Recheck option: Prestashop Newsletter popup extension makes sure that there is no duplicity of the email ids. A visitor can spin the wheel just once with one email id. In case, the same id is entered again, a message will be flashed indicating the same. Pull out facility: Spinning the wheel is not a compulsion for the visitors. They can remove the interface by clicking on 'I'm not feeling lucky' button. However, in the course of time, if they change their mind, they can even pull the wheel back on the screen. Direct CouponGeneration: With Direct Coupon Generation feature of Spin and Win module, customers can directly generate coupon code by clicking the Spin Win button. In that case, the customer doesn’t require to fill any username fields. Generate Fix Coupon Code: Easily generate fix coupon codes respective to each wheel slice. Admin can easily set the coupon code for each slice by editing the Slice Settings from the backend. If the admin doesn’t generate any coupon, then this setting should be disabled. Compatibility of Spin Win coupon with other cart rules: To limit the use of various coupons on store purchases, admin can set the compatibility of spin win coupon with other cart rules. If this setting is disabled then the coupon generated from Spin and Win will not work with the other promotional coupons active on the site. Prestashop Newsletter subscription popup extension offers GDPR Settings which allows admin to comply with new Data protection law under GDPR. GDPR Settings can be Enabled/Disabled from the backend. Compatibility with Prestashop GDPR option available to export and delete user data on Prestashop GDPR module request. Advance Feature: User's email will only subscribe for email marketing if the user accepts the service "Allow data to send promotional emails". Admin can add more services as per the requirement. This email subscription pop-up is highly responsive. 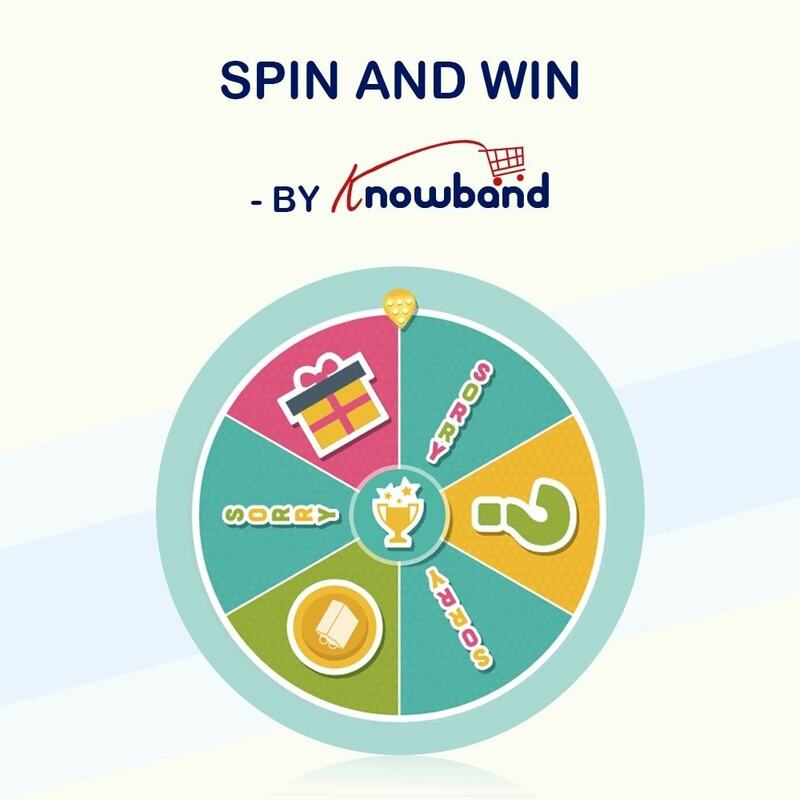 The spin and win addon is mobile responsive and offers user-friendly interface. Email Templates: Prestashop Newsletter subscription popup offers 5 ready-made email templates to choose from, which can be customized further. Interactive Prestashop email subscription pop up offers MailChimp Integration, Klaviyo integration, and SendinBlue Integration. The email Ids entered in the email subscription pop up will be synced with store owner's Mail Chimp, Klaviyo, and SendinBlue accounts. The email Ids synced can be later used for personalized promotions or scheduling Mail Campaigns. Email notification for the customers: The customers are notified about the coupons and offer they won via email. The email is sent on the same id entered by the customers. The Email subscription plugin offers a number of email templates to choose from. However, these templates can even be customized as per the requirement of the Prestashop store owner. Automatic Coupon Code Generation: If a user won a prize, then, the coupon code is automatically generated. The customer can copy the code and apply the same to the checkout page. Wheel and Slice setting: Prestashop Entry popup extension offers "Wheel setting" option which allows store admin to change the look and feel of the wheel. The logo, background color, and font of the buttons can be customized easily. At the same time, the slices of the wheel can be customized as well. Display interval: The store owner can set the interval and the frequency of the spin wheel display. Statistical Report: This Prestashop exit pop-up addon offers statistical report in graphical as well as tabular format. The report includes ‘Total Generated Coupon’, ‘Total Used Coupon’ and ‘Total Unused Coupon’. Este módulo oferece recompensas aos clientes cada vez que compram um produto. Os clientes podem usar esses pontos para obter descontos em suas compras futuras. It’s a great and playful way to get various prizes that include Free Shipping, Discounts, and other such offers. The Newsletter popup module can effortlessly add the fun factor to the shopping experience of the customers. The customers get email notifications to keep them reminded of the offer they have won. The coupon code can be easily entered on the checkout page to avail the benefit. It’s very easy to get discount just by sharing the email id. The customers can easily submit their email id and get the discount by spinning the wheel. The interactive exit pop-up improves the customer’s store experience by offering discounts. You may also like our Abandoned Cart Addon, this addon track the abandoned cart of your website and increase conversion rates.